Airtight Container 8-Piece Set Just $35.99! Down From $70! PLUS FREE Shipping! 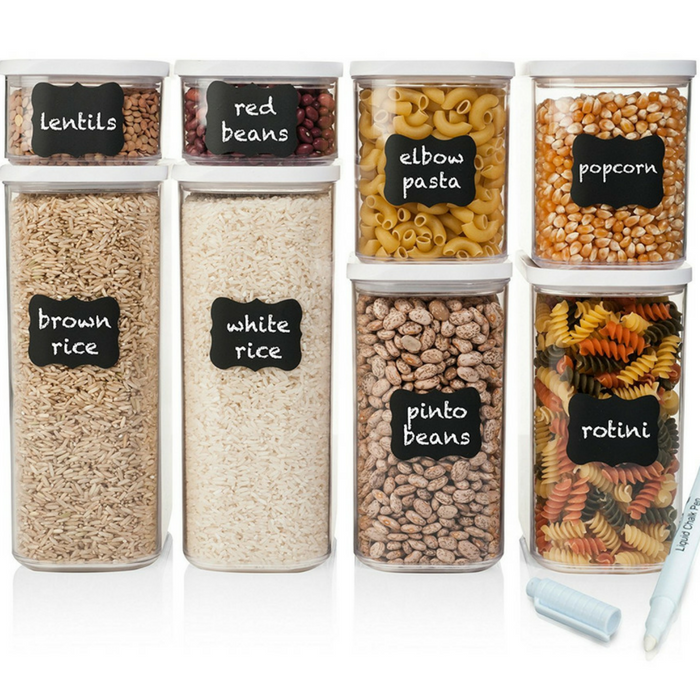 You are here: Home / Great Deals / Amazon Deals / Airtight Container 8-Piece Set Just $35.99! Down From $70! PLUS FREE Shipping! Head over to Amazon to score this Airtight Container 8-Piece Set for just $35.99 down from $69.99 PLUS FREE shipping! Every air-tight container has been designed to seal in freshness while making access and food prep a breeze. Full range of sizes! Store your favorite food safely into these efficient containers. With 8 different sizes for edibles of all shapes, sizes, and volumes, you won’t have to worry about jamming your edibles into containers. Not only are these good for dry foods, but our containers are great for holding liquids such as water, juice, soup, and more. Container corners allow for easy pouring. Don’t worry about spills as the Shazo containers are designed to seal all liquids with airtight technology.